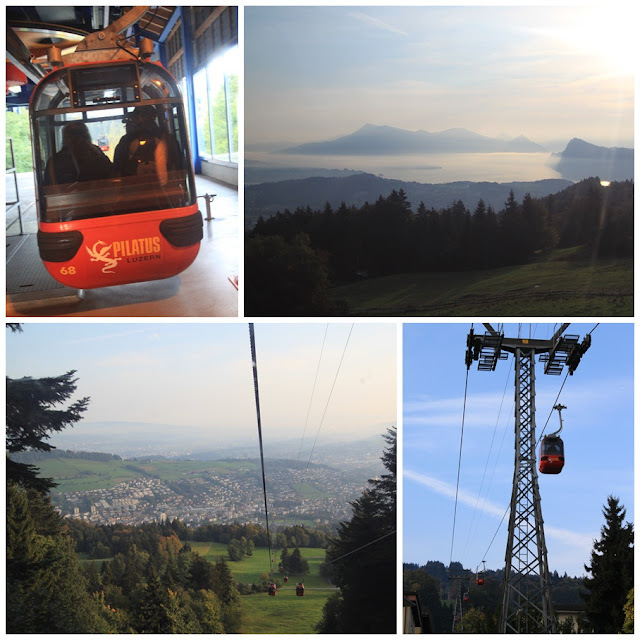 Lucerne town is very well-known for its major attraction of Mount Titlis and Mount Pilatus in Switzerland. Mount Titlis is located at 10,000 feet in the Urner Alps of Switzerland. Mount Titlis is famous for the world's first revolving cable car with 360-degree panoramic views of the snow-covered valleys, glaciers, lakes, forests and mountains in Switzerland. On the other hand, Mount Pilatus is located at 7,000 feet which allows you to enjoy the stunning scenic views in a gondola, cable car and the world's steepest cogwheel train ride. Switzerland is famous for its advanced technology in building the world-class highway tunnels through mountains and panoramic cable cars to take visitors to the top of mountains to enjoy the spectacular view of Switzerland. Thus, you should take this opportunity to ride on the panoramic cable car and Locher cogwheel train at the major tourist attraction sites in Switzerland. However, it's not advisable to ride on cable car and cogwheel train when the weather is not permitted such as raining and snowing. Moreover, Locher cogwheel train is closed throughout the winter season at Mount Pilatus thus, you need to plan this trip properly to avoid any disappointment. 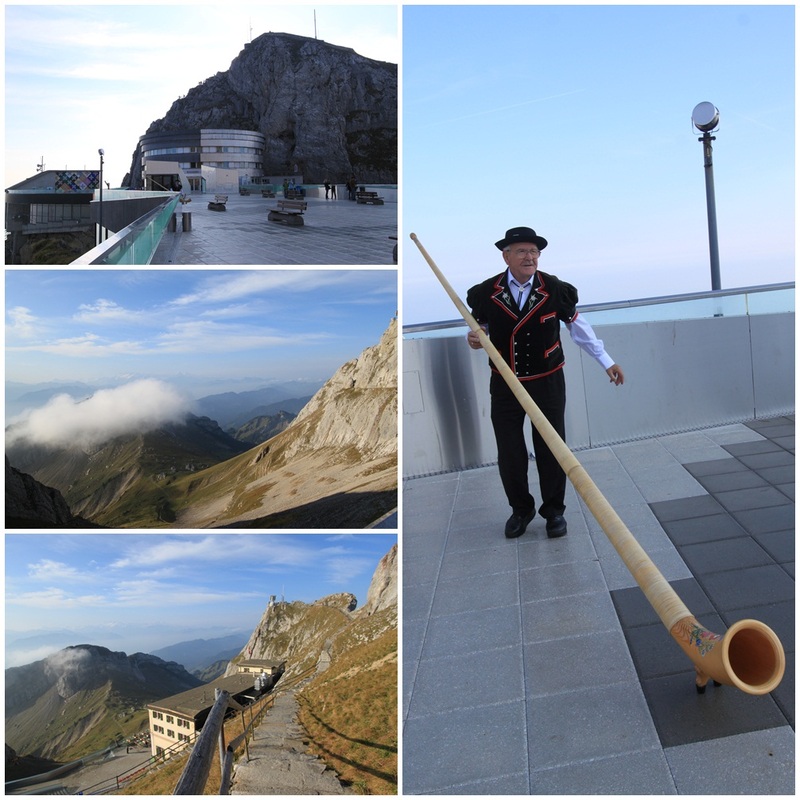 Since I was staying in Lucerne town for a night thus, I took this opportunity to visit Mount Pilatus. The ticket booth at Mount Pilatus opens at 8:30am so, try to be there as early as possible since the big crowd of visitors and tour groups begin to form in a long line by 9:00am onwards. 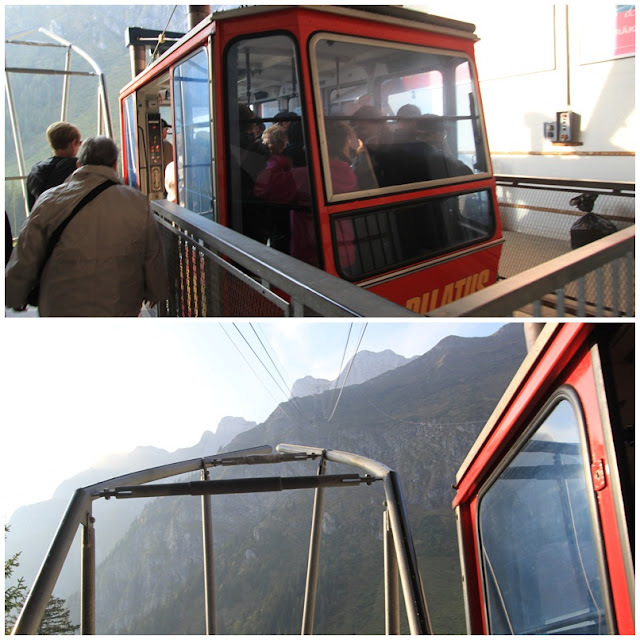 You can begin the trip by taking a ride in a panorama cable gondola from the ticket booth, which is known as Kriens section. The cable gondola will take you to Frakmuntegg station. You will be amazed with the stunning panoramic views during your 30 minutes cable gondola ride from Kriens to Frakmuntegg stations. Then, you need to change from cable gondola to the aerial cableway at Frakmuntegg station. 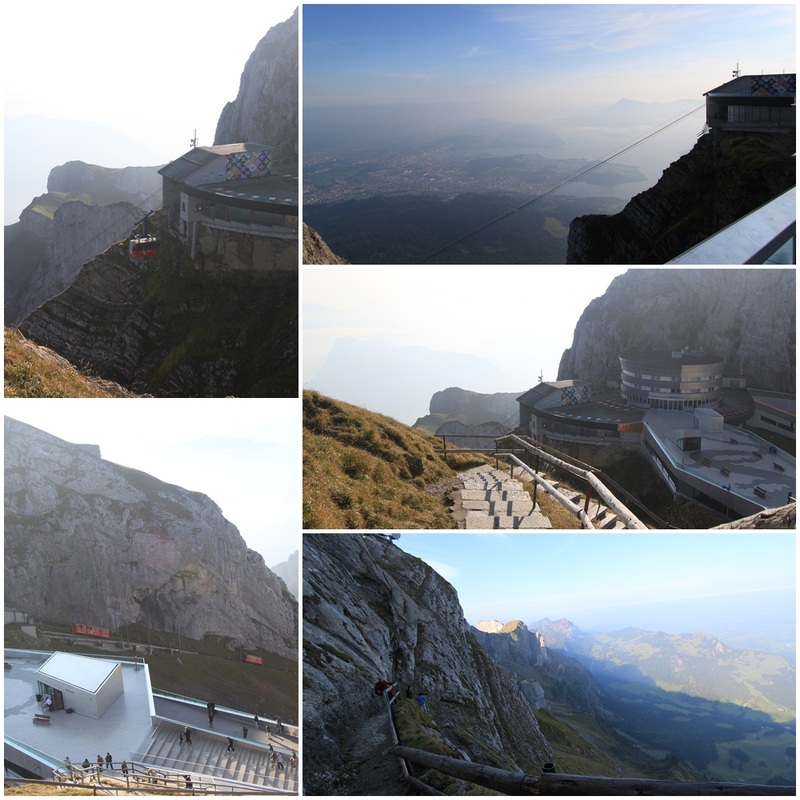 The aerial cableway will take you to the top of Pilatus Kulm (Mount Pilatus) in a five minutes ride. 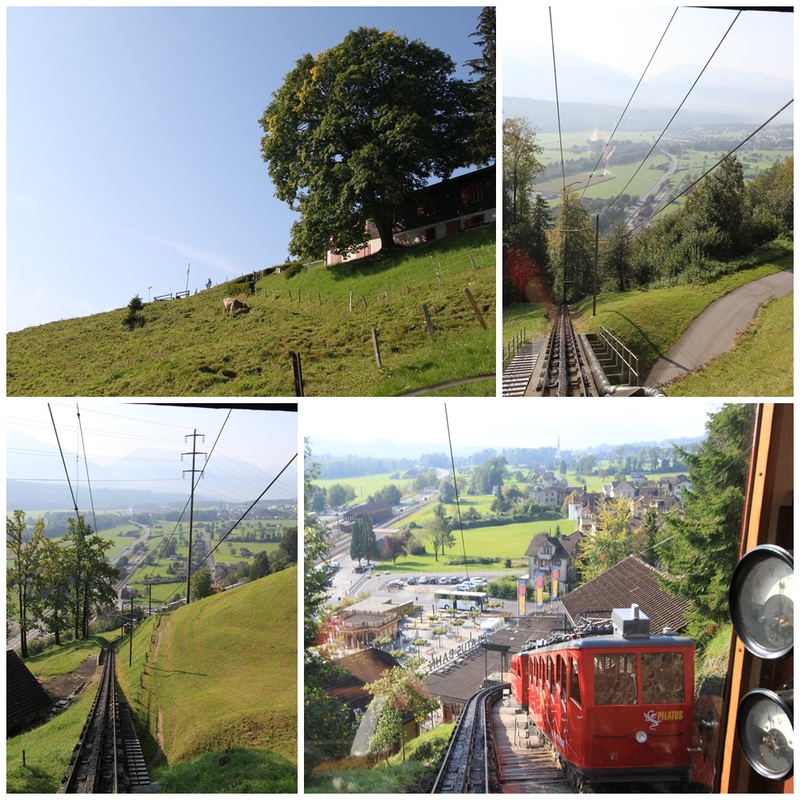 Do try to take a ride on the Locher cogwheel train to Alpnachstad station once you have finished enjoying the spectacular view at Pilatus Kulm. It's the world's steepest cogwheel train which runs between 9-12km/h and takes about 30 minutes per ride. The locher cogwheel train operates between May to November yearly and closes throughout the winter season. As the cogwheel train moves on the steepest mountain, all the seats are built on 45 degree angle in order to provide comfort and safety for the passengers while riding on the cogwheel train. As you get off from the locher cogwheel train, you are actually exiting at Alpnachstad station, which is facing the Lake Lucerne. You can try to take a ferry ride and head back to Lucerne town. 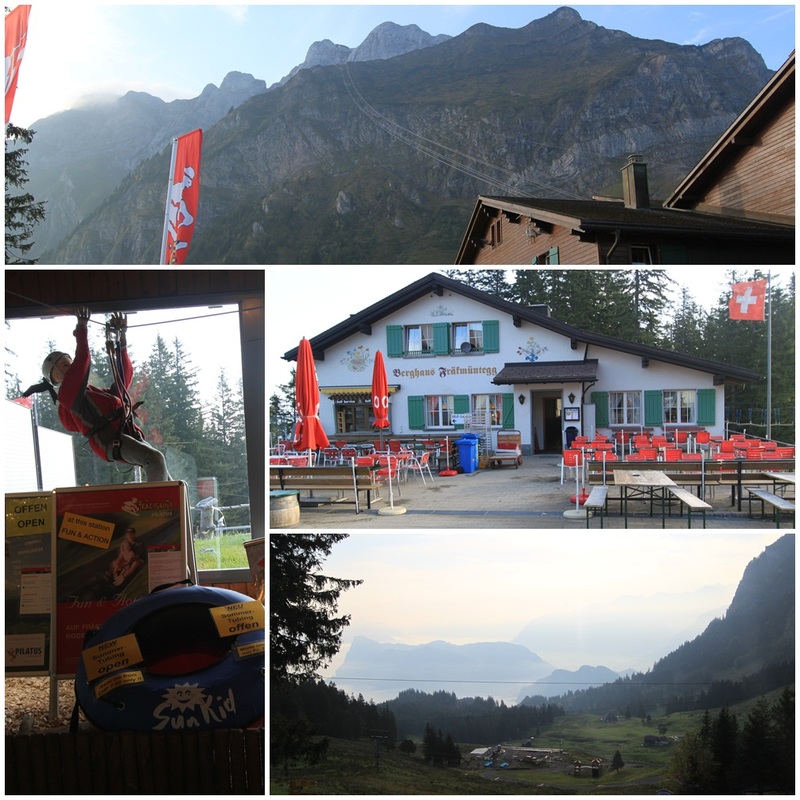 You can purchase the Golden Round Trip (combined tickets), which includes the ride on cable cars, cogwheel train and boat ride to Lucerne town at this official website of Mount Pilatus here. Amazing Photos!!! William, I didn't know that you are this good photographer.